ca 530 - 510 B.C. 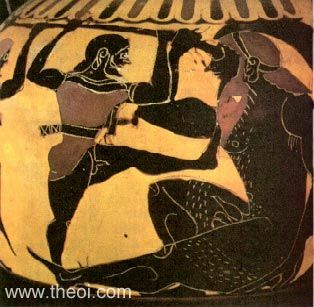 Odysseus and his men drive a stake into the eye of the Cyclops Polyphemus. The giant is depicted as a large, hairy man with an orb-shaped eye.